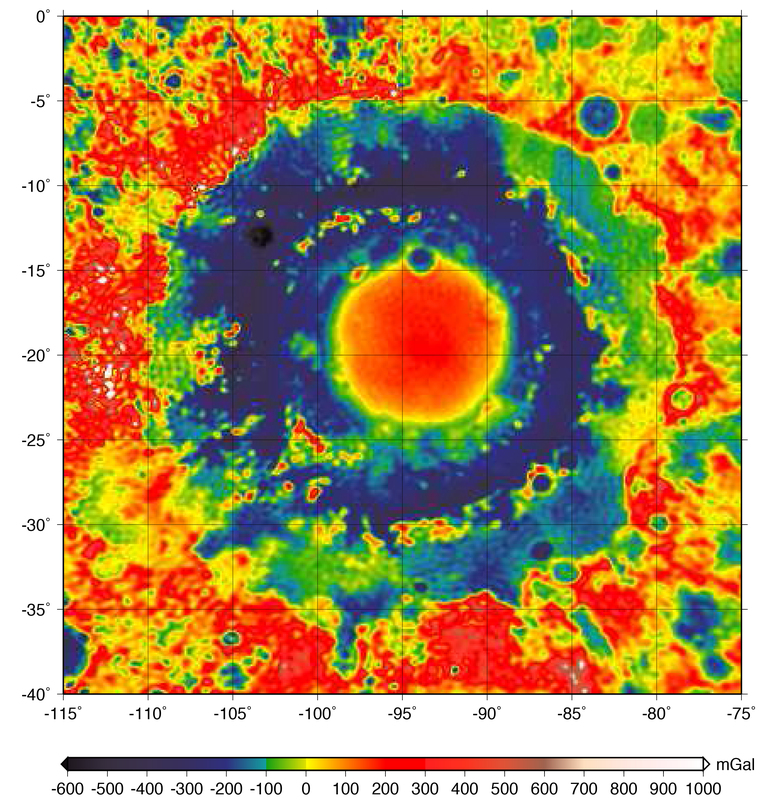 The most detailed measurement of the moon’s gravity has uncovered interesting details about Orientale basin, a massive impact crater. The basin is 930 kilometers (578 miles) in diameter and at its lowest point is about 12 kilometers (7.4 miles) deep, measured from the tops of the mountains that surround it. It is called a basin rather than a crater because of its huge size and because it is encircled by tall mountainous rings. Gravity at the center of Orientale is larger by about 0.3 percent than the gravity on the surface outside the basin. While gravitational force can vary from place to place on Earth, those differences on the moon are 10 times greater than those found here. Melosh and colleagues, who published their findings in Science, made the measurements as part of NASA’s GRAIL mission, which launched two satellites to the moon in 2011. After the end of their successful mission, the satellites impacted the moon’s surface in 2012. The small difference in gravity shows that the center of the basin is underlain by denser rocks than elsewhere on the moon. 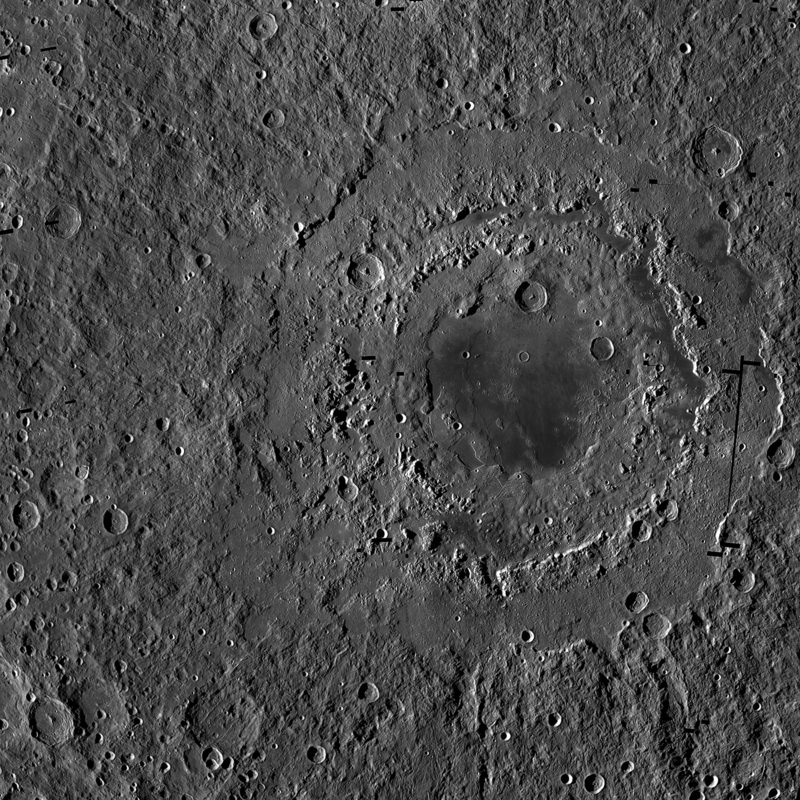 That gravity data helped confirm models that show how Orientale and its rings were formed some 3.85 billion years ago when an asteroid slammed into the surface of the moon. The scientists estimate the asteroid was about 65 kilometers in diameter if it struck the moon vertically, although it would have been somewhat larger if it struck at an angle. At the time, the moon’s interior was warmer than it is today, closer to modern-day Earth’s temperatures. Those higher temperatures allowed rock from the mantle to move more freely, creating faults that are seen as rings around the Orientale basin. “The warmer, deeper rocks in the moon were more fluid and moved inward after the impact, carrying the crustal rocks inward toward the center, and that’s what made the faults,” says Melosh. Understanding the cratering of the moon 3.85 billion years ago can give scientists clues about the formation of other planets, including Earth. Some theories even include the idea that the bombardment of Earth by asteroids and other objects may have led to life on the planet, adds Melosh. He’ll continue to model the formation of large moon craters and is working on a collaborative proposal to use robotic vehicles to bring moon samples back to Earth for study to learn more about the satellite’s crater formation.